A sophisticated alternative to a cocktail dress, Goya is cut from a beautiful crepe in light cream tones. 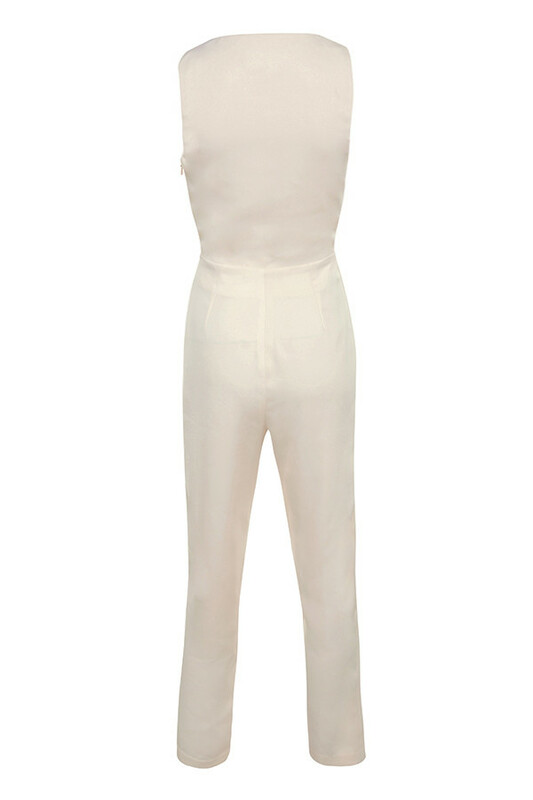 The feminine knotted front falls away to a cut out waistline and tailored waistband and trousers. Offset the slightly cropped fit with tonal high sandals.